The photographs from this year's Christopher Street Day, a.k.a. 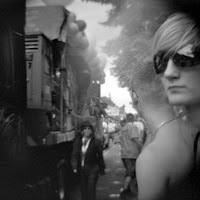 Gay Pride, are up now and available from the toycamera page. They are all black & white and shot with the Diana+ camera.